SANTA MONICA – The game that never happened in Mexico City was played in Los Angeles and the Rams beat the Chiefs 54 – 51. The game was tight up until the last two minutes. 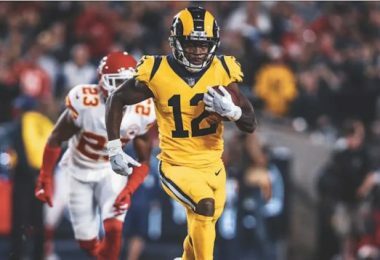 With only 1 minute and 46 seconds on the clock, Quarterback Jared Goff, threw a 40 yard pass down the right side line that tight-end, Gerald Everett, caught for the winning touchdown. The Rams will play their next game against the Detroit Lions at Ford Field in Detroit on December 2, 2018.